FOIMan summarises the results of research into the numbers of FOI requests that local authorities in England received in 2016. 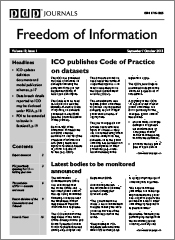 The new s.45 code of practice requires all public authorities to publish data on their FOI performance, but that hasn’t always been required. Outside of central government, the availability of reliable data on FOI request volumes is patchy to say the least. 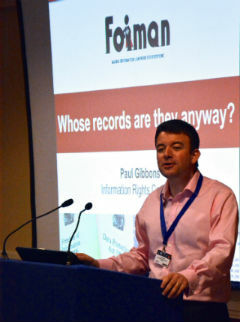 Local government is reputed to receive the most FOI requests of all public authorities. Between 2005 and 2011, the Constitution Unit at UCL carried out valuable research into FOI in local government, including request volumes. The reports on their research can be found on the UCL website. Since the 2011 report (on 2010), there hasn’t been any comprehensive data available on FOI volumes in local government in England (to my knowledge). As regular readers will know, I conducted some research into FOI in local government as part of the preparation for my book The Freedom of Information Officer’s Handbook. In Autumn 2017, I wrote to a sample of councils across the country and asked them a number of questions. Amongst those questions I asked for the number of requests received in 2016 and the number of those requests answered in 20 working days. In my latest article for the Freedom of Information Journal I have reported on the results of these questions, and compared them to UCL’s research to examine the trends in council request volumes. It will come as no surprise to learn that request volumes appear to have continued to rise over that period. 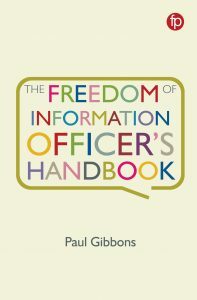 If you want to read more about the outcomes of my research, other aspects (including how requests are managed and how performance is monitored) are explored in detail in The Freedom of Information Officer’s Handbook which will be published at the beginning of January 2019 by Facet Publishing. Details of how to order a copy at a discount can be found at the top of the sidebar opposite.